Fundraising update – Old Grace Housing Co-operative Ltd. The hard work of various OGHC members has paid off in recent weeks. We have recently received confirmation of funding from both the Government of Canada and the City of Winnipeg. In January, the federal Employment and Social Development Department (ESD) informed OGHC that our application to the Enabling Accessibility Fund had been approved. OGHC will receive $24,980 to help pay for the installation of a vertical hydraulic wheelchair lift. The total cost of the lift and installation will be about is $42,000. The lift will be located at the south end of the Arlington wing at the entrance from the parking lot. It will enable people in wheelchairs to travel indoors from the parking lot to the main elevator. Thank you to ESD minister Jean-Yves Duclos and the OGHC members who devoted considerable time to the preparation of the application for this grant. 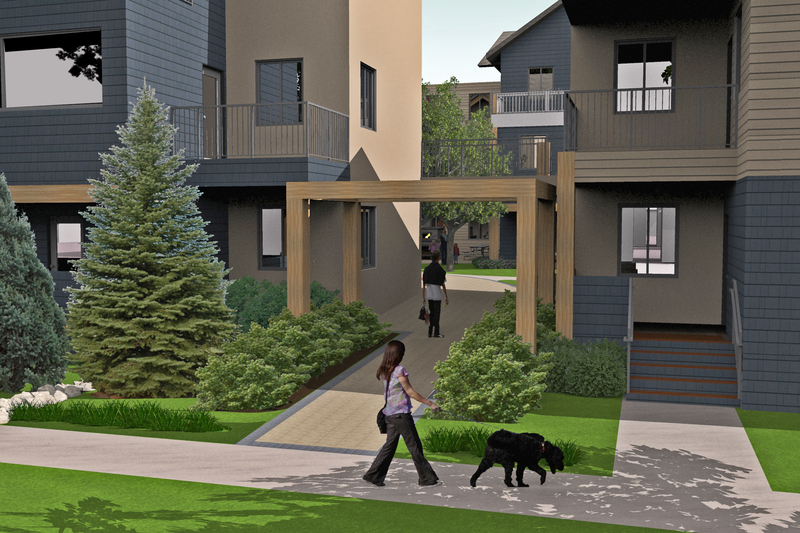 A view of some of a portion of the planned landscaping of Evanson St. face of Old Grace Housing Co-operative. On January 20, 2017, the City Centre Community Committee of the City of Winnipeg approved a $15,000 Community Incentive Grant, funded from the Daniel McIntyre allocation, to be used for OGHC perimeter landscaping. OGHC’s planting will include 24 trees, 80 shrubs, and 23 varieties of grasses and vines. 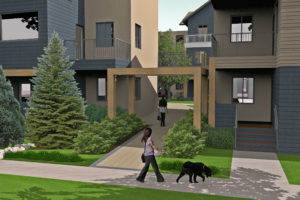 The total cost for the perimeter landscaping will be approximately $137,000, including paving and the plant of 24 trees, 80 shrubs, and over 300 perennials, grasses, and vines. Thank you to City Councillor Cindy Gilroy, and to all the OGHC members who wrote letters of support of our application and who attended the committee meeting.